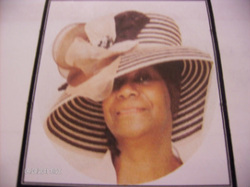 Mother of Glory, Evangelist Myra C. Warner, Th.D. Myra was described by her parents as being the child who "understood". At the age of nine, the Lord anointed her to play the piano. This would prove to be an asset to the ministry that her parents founded in 1959. Myra was an excellent student, and she later showed her boldness in exploring the unknown by participating in the early desegregation of schools in the Atlanta Public School System. Being the only Black student to attend Fulton High School (her life being threatened several times) during the 1962-63 school year, she went on to become the first black student to graduate (with honors) from Fulton High School in 1965. Demonstrating her perseverance, she never missed a church service (Wednesday and Friday nights, and all day on Sundays). Her faithfulness included choir rehearsals, group rehearsals, and other activities as the church continued to grow. Graduating from Spelman College with a degree in Mathematics and Secondary Education, she knew that her calling was to teach. Although she taught in public schools, teaching the Word was where her heart was. While spending forty-four years in the ministry, founded and built from a local church into a national work by her parents, Evangelist Warner progressed from the piano to the organ, assisted in organizing choirs on the local, district, jurisdictional level and finally on the national level. She has been a licensed evangelist since 1979. She taught Sunday School and the young people in the Young People's Union. She was curriculum director for the church on all levels, preparing and carrying through the themes for the various church conventions, seminars and convocations. Added to her duties was President of the Examining Board. Evangelist licensed may women who went on to pastor in other portions of the vineyard. After her Mother went home to Glory in 1998, Evangelist became the Supervisor of the Women's Department in the local church. At this time her father made her the Vice President and Administrator of the local church. Being blessed that the Lord had already shown her what was to come, after the passing of her father in 2003, a new ministry was born, namely, Glory Ministries Selah. Evangelist became the "Mother of Glory", and her son, became the Presiding Prelate of Glory Ministries Selah. Degree in Biblical Studies and a doctorate of theology. She also matriculated at Trinity Theological Seminary in the field of apologetics. Attending Bible Study at Visions is a dynamic learning experience. Mother Warner has the ability to dazzle her listeners, untangling the web of scriptures and deciphering their meanings like no other, and anyone who knows her knows she is a vivacious, gifted and powerful woman of God, and a thought-provoking teacher who loves to share her knowledge of the Bible. 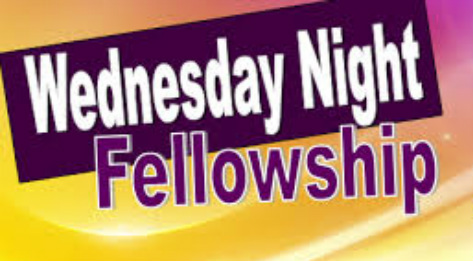 Take the opportunity to meet her face to face Wednesday Nights @ 7:30pm @ Visions Selah Church. Come learn about Jesus and His L O V E! @ 7:30pm with Evangelist, Myra Warner, Th.D.